Scent From Subscription Box: December Edition - New York - Elle Blonde | Luxury Lifestyle Destination | Travel, Events, Food, Interiors, Fitness, Fashion & more. 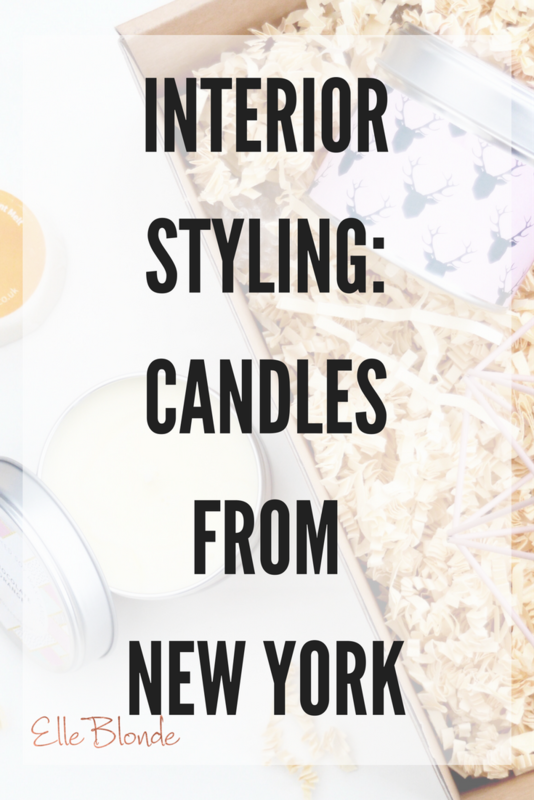 With New York Fashion Week in full swing, we’re throwing it back to December’s Scent From Subscription Box which, yes you guessed it. Is coming to you straight from the Big Apple, the melting pot. the home of the Bronx and Broadway and the shortest sentence in all of the world, d’jeet (did you eat? – in case you were wondering). Undoubtedly the most famous of all of the American cities, this sprawling metropolis is home to over 800 spoken languages, a rich history of prohibition and gangster crime, the greens of Central Park which is overlooked by climbing towers and skyscrapers. Sadly it is home to one of the most tragic modern day acts of terrorism but today we light a candle for New York with our favourite subscription box from IWOOT. With not one but two large tin candles from Flamingo Candles, both with a 40 hour burn time we are in for a treat with this location. The festive themed Bah Humbug smells of the cleanest freshest mint to dance around your nose. This holiday favourite is adorned in stag print which looks totally Instagram-worthy. It’s almost too good a scent to burn, I could just sit and smell it forever. A festive favourite in our family, the chocolate orange. The second tin candle is this gorgeous rich chocolaty scent with orange undertones. 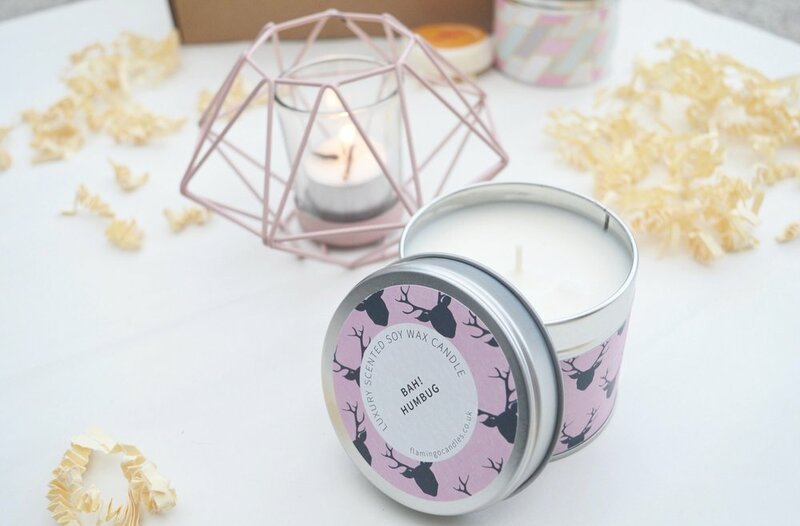 The geometric pattern allows for it to become a transitional all year round candle, which if you’re like us is great for if you’re on a diet. You can smell it and imagine you’re tapping and unwrapping your chocolate orange without the calorie intake! Finally and a firm favourite of mine, a geometric candle holder, similar to the Marrakesh box at the end of last year this gorgeous sought after pastel pink tea light holder is absolutely perfect for dressing up on a side table or using as a feature on a sideboard. Simply add a tealight, light and watch the light create a geometric projection in your home. 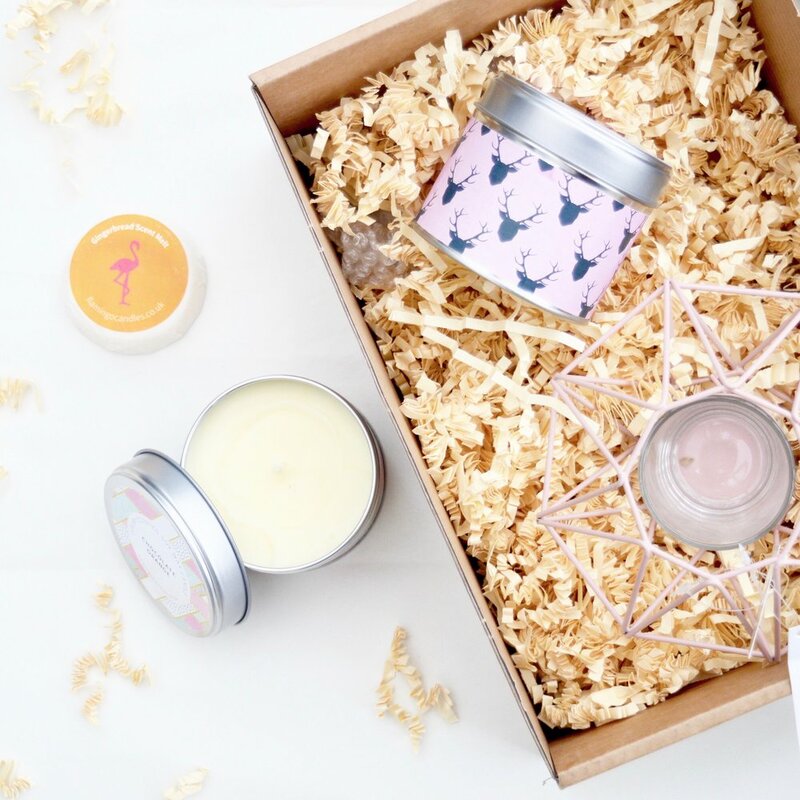 Every month, I genuinely await eagerly for the delivery of my Scent From Subscription Box. It’s undoubtedly one of my favourite deliveries and admittedly I must receive hundreds of deliveries a month. If you’re looking for a gift for the person who has everything, or a monthly treat to yourself or for your home then this is certainly the best choice. If you don’t want to subscribe you can purchase the box as a one off, or alternatively it comes in 3, 6 and 12-month subscriptions. You can save yourself £5 off your order with the code ELLE5 at the checkout and you can purchase it from IWOOT here.